It’s been determined. They’re people, not pets. 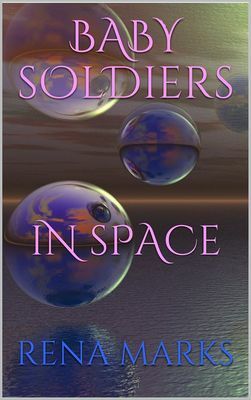 Read the continuing saga with Baby Soldiers In Space. Helian Six has it made. Their own planet, lifemates, and kids. Not bad for a species born in vats—to emerge full grown with designated careers dependent upon specifically implanted personality traits. What used to be friendly competition has turned into jealousy, and now everyone is scrambling to be accepted onto their planet to live the good life. Now, the Helian Six crew, with their updated promotions, can afford to be picky. However, a personal request from the Supreme Commander has all but ordered acceptance of a new breed of female. The leader, with her steadfast ways, nurturing heart, and fuzzy unibrow, has caught the Ambassador’s finicky eye. The poor crew members of Helian six have been warned to give the refugee females everything they may need. Unfortunately, they can’t share with their mates why they’re giving extra attention to the hairy bunch.